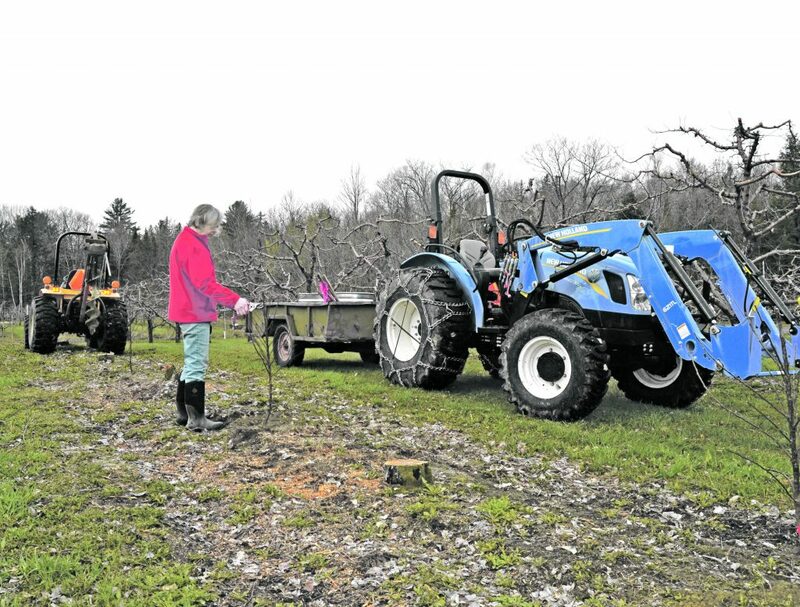 Emily Holmes’ parents John and Elaine Olsen planted a 500-tree apple orchard in 1983; 35 years later their apple orchard has grown to 1,700 trees growing over 48 different varieties of apples. “When they started out in 1983, it wasn’t like this. They had a tiny farm stand, no trees and no cider press,” Holmes said. By 2000, a cider press that produces 300 gallons of cider a week was added. The orchard had diversified to grow pumpkins and collect honey from honeybees. 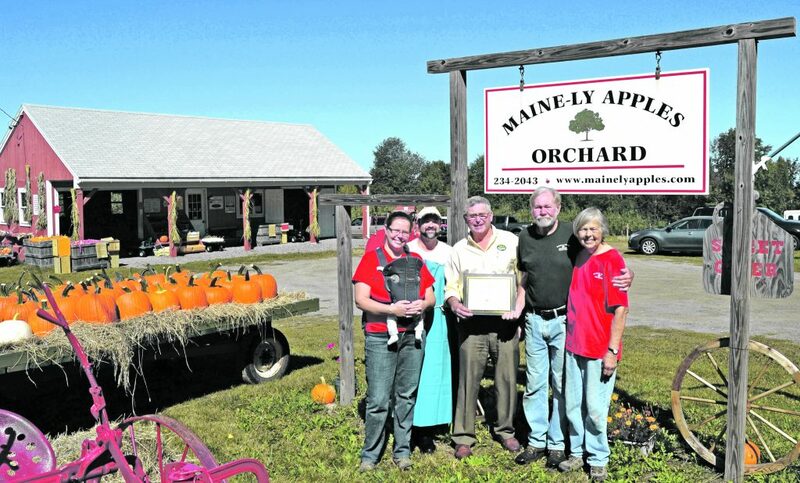 The Maine State Commissioner for Agriculture recently awarded Maine-ly Apples with an entrepreneurial excellence award, an award that Holmes said was well deserved. Holmes attributes the orchard’s success to having really good customer relations, being centrally located and close to the major population centers of Bangor and Belfast, often getting customers from different areas of New England. “We have expanded our variety line according to demand, trying to meet the needs of all of our customers whether they are picking one bucket of apples or buying a gallon of cider,” she said. McIntosh apples were once the most popular; however, Holmes said people now seem to be buying sweeter apples like Honey Crisps and Snow Sweets. Maine-ly Apples has a variety of apples for eating and baking, Cortlands being the traditional baking apple and Northern Spys and Ida Reds being used as store apples during the winter. The orchard provides not only a farm store stocked with apples, honey and pumpkins, but families can also pick fruit off the trees. “We offer baskets and wagons and we have semi-dwarf trees so no ladders are needed for picking. We also have a nature trail we allow families and animals to go on,” Holmes said. Like other agricultural-based businesses, Maine-ly Apples’ success or failure depends on the weather – whether it was wet or dry in the spring and whether they had a late frost.